If you want to design efficient light structures, the design requirements must be well defined. But often there is a lack of clarity about the exact loads that affect the design and which materials and production methods will be used. For example, efficient load determination can now be carried out quickly and now with the help of multi-body simulation in the design process. At the same time, weight and stress optimization simulations with the Finite Element Method are now also included in a simple way from the start. And importantly, this simulation technology can now be used for a much larger group of users, and designers in particular will benefit from this. Simulation-driven designs leads much faster to a designs that meets all requirements, is robust, optimal and reliable. It appears to be a very efficient method to develop complex new constructions faster. This method will be explained on the basis of a number of industrial case studies. A few examples: The Amazone project, which involves the replacement of a welded fork arm (‘swing arm’) of a heavily loaded part of a harvesting machine. In the design of the casting mold, the best possible 3D-printed mold is sand-formed with a topology optimization simulation. This arm is significantly lighter than its predecessor, but more importantly: the process reliability is more reliable and the lifespan is 2.5 times better. Another example is a complete 3D-printed metal injection molding tool from Protiq. It shows how tool production with topology optimization and CFD (Computational Fluid Dynamics) simulation can be arranged so easy and efficiently that customers benefit from both shorter cycle times and faster and better tools. 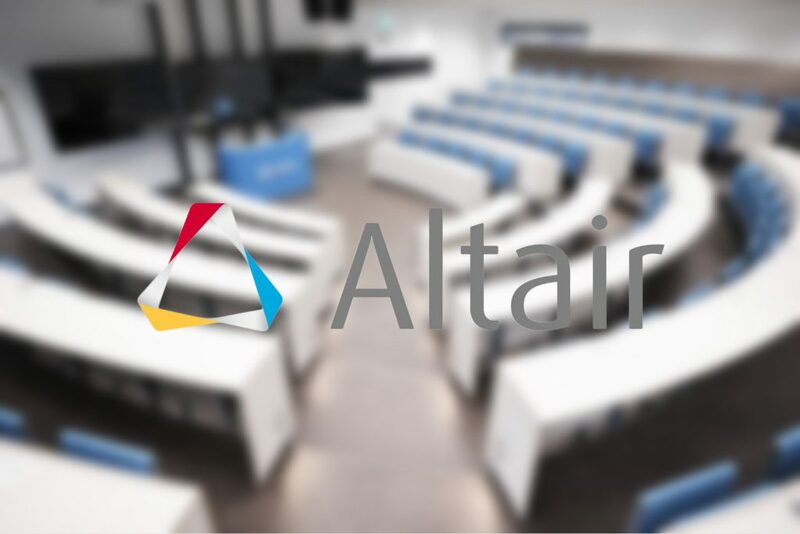 The Cases studies have been carried out with Altair’s “Inspire” software, one of the new generation tools from Altair, that brings simulation-based designs at your fingertips. The way of working is completely adapted to the way in which designers, more and more, under pressure from the industry, have to design a more complex designs with more functions and a better performance. In addition, the production method and production pre-conditions must also be included from the start so that a cost-efficient design method is possible. Speakers are: Jan Grasmannsdorf, academic markets manager and Theo Verbruggen, simulation and business development specialist, both working for Altair in the Benelux.